Zeitgeist shared a post. Please note: 1 week 4 days ago. Zeitgeist’s Early Music Festival devoted to the work of Pauline Oliveros is now finished. What an amazing time that was! How much we all learned-about music, listening, ourselves, and others! Deep gratitude to all listeners and artists who convened to make music such beautiful music together. Special thanks to Viv Corringham for creating "Listening for Pauline and IONE" for Zeitgeist and for guiding everyone in a deep listening workshop. And to Carole Ione for providing permissions and working with us to present Oliveros' work. Shout out to Isaac Mayhew who created our exhibit and Katherine Bergman who made sure all of us knew what was being performed and when. And, the performers. It is a delight with every festival to bring together so many talented musicians who approach new music with such love and care. Thank you Pat O'Keefe, Nicola Melville, Patti Cudd, Alexandra Hecker, Tiffany M. Skidmore, Joan Hutton, Michael Duffy, Adam Zahller, Walt Skidmore, Svea Drentlaw, Gabrielle Doran, Justin Spenner, Joey Crane, Benjamin J M Klein, Philip Blackburn, Ann Millikan, Dameun Strange, Ryan David Stevens, Laura Harada, Michelle Kinney, Drea Reynolds, Isaac Mayhew, Paul Cantrell, Brian Heller, and Jill Dawe. And, of course, much gratitude to MSAB and National Endowment for the Arts and Zeitgeist's many individual donors for supporting this festival. 1 week 4 days ago. Last chance to catch Zeitgeist Early Music Festival: Pauline Oliveros! We will close the festival today with a concert of chamber works by Pauline Oliveros, including "For Valerie Solanas and Marilyn Monroe in Recognition of Their Desperation," "Rolling Meditation," "Lullaby for Daisy Pauline" and "Six for New Time." 2 weeks 22 hours ago. Zeitgeist Early Music Festival: Pauline Oliveros continues today with three events at Studio Z focusing on the work of Pauline Oliveros: 3:30 p.m. Early Music Workshop: Deep Listening with Viv Corringham 5:30 p.m. Screening of Oliveros’s opera "Io and Her and the Trouble with Him" 7:30 p.m. The Earthworm Also Sings: A Deep Listening Event 2 weeks 1 day ago. "She played the accordion. She earned a black belt in karate. She was a pioneer of experimental music." Thank you to Terry Blain for the review of a "wonderfully thought-provoking evening" at last night's opening concert of Zeitgeist Early Music Festival: Pauline Oliveros! 2 weeks 2 days ago. In Bone-Colored Light features a collection of works created for Zeitgeist in the first decade of the new millennium. As an aural portrait of our artistic work of the last 10 years, it reveals the fertile creative relationships we forged and the aesthetic concerns that piqued our artistic curiosity. As performers, our relationship with these works and the people who created them has been spiritually enlivening, intellectually challenging and joyously transformative. Each of these works is remarkable, and the artistic voice resonating through each is undeniably singular. As a collection, they represent our zeitgeist. Performed by Heather Barringer, percussion; Patti Cudd; percussion; Pat O'Keefe, woodwinds; and Shannon Wettstein, piano, In Bone-Colored Light features new music composed by Anthony Gatto, Kathy Jackanich, Jerome Kitzke, Ivo Medek and Ethan Wickman. On this album the folks in Zeitgeist take on the works of some of their favorite composers. 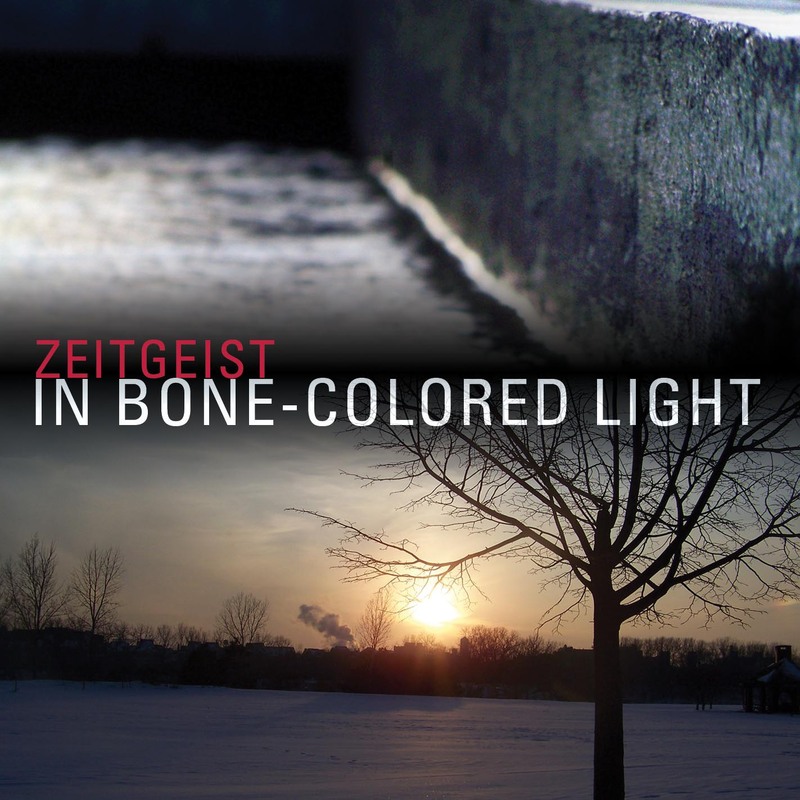 In Bone-Colored Light features compositions by six composers: Anthony Gatto, Ivo Medek, Jerome Kitzke, Kathy Jackanich, and Ethan Wickman. These recordings were obviously a labor of love. Zeitgeist is Heather Barringer (percussion), Patti Cudd (percussion), Pat O'Keefe (woodwinds), and Shannon Wettstein (piano). These four individuals spent a great deal of time meticulously recording and mixing these pieces...the precise attention to detail is obvious. Some of these tracks are melodic and somewhat accessible...while others are experimental and bizarre. Challenging music with a distinctly different flavor. This music is remarkably fluid and resonant. Hard to compare this one to anything else or make comparisons (?). The folks at Innova Recordings continue to blow our minds year after year after year... Top pick.